Ladson, SC (February 5, 2019) – “I’m not exactly an inside the office type of guy,” says a grinning Mark Daniels Jr., between flips of an ElaZtech worm . 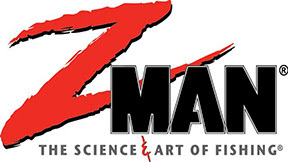 . .
A Z-Man Fishing TV exclusive, Project Z: ProFileZ takes you on the water with the folks who count on Z-Man Fishing Products daily as tournament anglers, guides, and industry professionals. Take a trip to our ProZ’ home waters to learn their stories and how they’ve ended up where they are today—as well as why they rely on Z-Man baits day after. In this episode, you’ll hop in the boat with MLF Bass Pro Tour angler Mark Daniels as he breaks down a shallow, prespawn pattern on his home water, Lake Eufaula, Alabama. Tag along as Daniels talks family, fishing and his old West Coast stomping grounds.